Trang An eco-tourism Complex is the comnination of inexperienced mountains and blue water, many caves limestone mountains, wild natures of forest and rivers and a big system of distinctive caves. And it's thought-about as “Halong Bay on land” or “out of doors geological museum”. 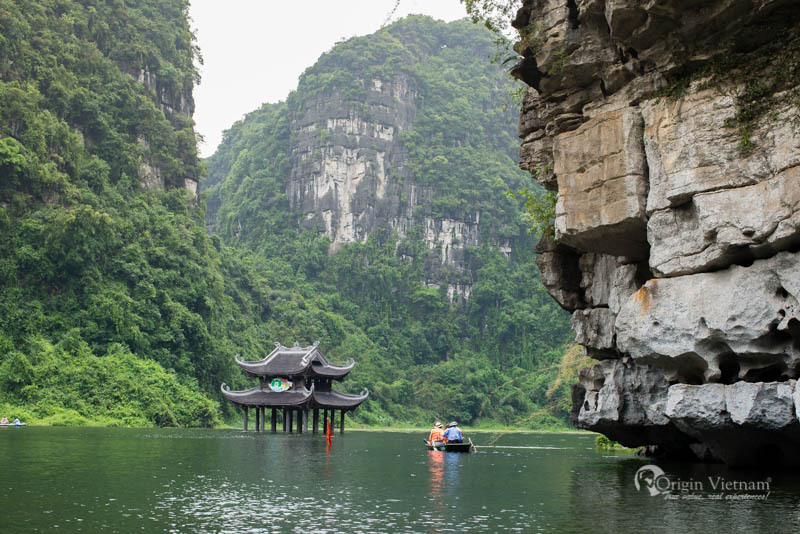 Trang An Eco-tourism complex - located in the complex of Trang An scenic area, Ninh Binh province. It's covered an area of ​​2168 ha. Far from Ha Noi about 90 km to the south. The site features world-wide value for geological, geomorphological, archaeological and aesthetic tectonics, which has been honored by UNECO as a Natural World Heritage site. The landscape of the ecological area is a majestic mountainous region, created by the multi-dimensional mountains of the shadow down the small streams winding, meandering the cave, the valley of wilderness. beautiful to strange. To visit Trang An ecological tourism area, visitors will experience each level of emotions. You will have chance to explore the distant roots of human life. Like enjoy the pure beauty, essence, atmosphere and proud of the golden of history in the mountainous area, the shape of the river at the beginning of the process of building the three kingdoms: King Dinh Tien Hoang, King Le Dai Hanh and King Ly Thai To. The combination of tourism types. Such as ecotourism, spirituality and historical sites create attractive tourism. Travelling to this area you will get the enthusiastic, caring, friendly staff of the tour guide and local people always satisfy tourists. Your Vietnam family tours to Ninh Binh Vietnam will me more memorable. 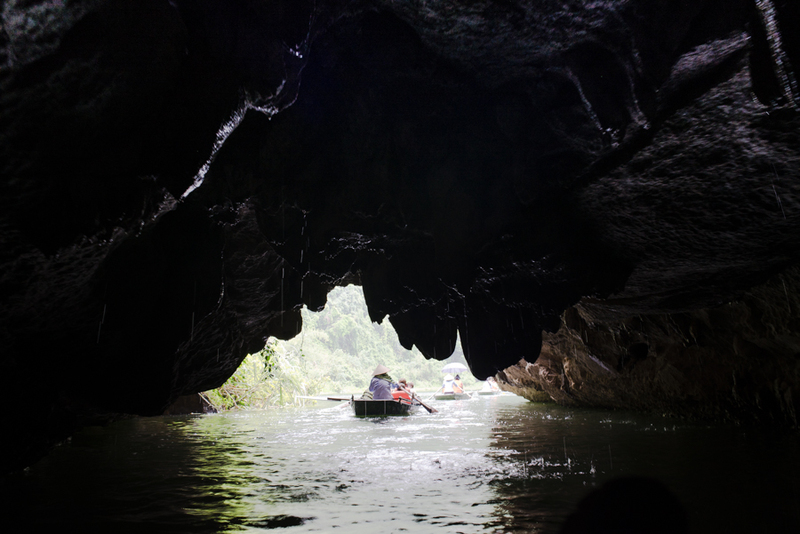 There are many beautiful caves in Trang An Eco Tour complex. And it's divided into many different travel route. With a length of nearly 300m. There are many beautiful stalactite inside the cave, where there is a splendid appearance as here, the old cave called Precious Cave, as when entering the cave, visitors will feel like treasure in the treasure that day. now fossils. Due to the newly exploited, stalactites are intact, white phau, beautiful like diamonds, gold, jade. If it lights up, it's like a layer of sparkling mercury. All create a mysterious beauty, sacred as its name: Spirit Cave. With a length of 320m. Perhaps with the winding, meandering light can not enter, which people have called dark caves. It is by that name that the more curious to learn and discover the beauty of the ancients left to this land, very close and also far away. Outside is a scene "four mountains around, four seasons" with four caves in four sides including Seo cave, Ba Got cave, Bright cave, Dark cave, symbolized as four spring, such as the four East, West, South, North, creating the feeling that the beauty of heaven and earth are all here. 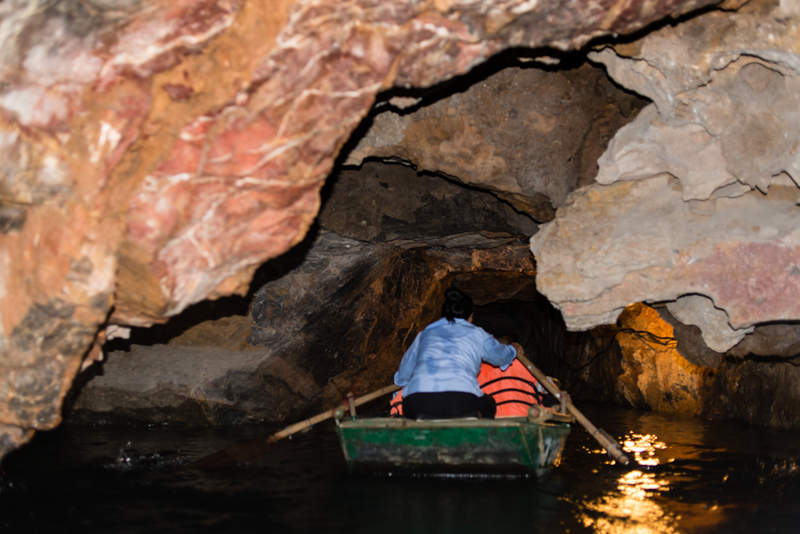 The name is Bright cave, but here visitors still have to use the lamp because the cave is 112m long, 12m wide and folded in the form of workers. The ceiling has a height of 12m, surrounded by many beautiful stalactites, drop down from the ceiling with many names depend imagination. Each cave, the old name has a specific meaning. From "Dark Cave" to "Light cave" is the desire of people: The rain is the sun, the light will be dark, the winter is over. Perhaps the landscape is also harmonious with the human heart, so that the ancient name for the cave as a desire to submit a humanistic philosophy. It's 250m long. 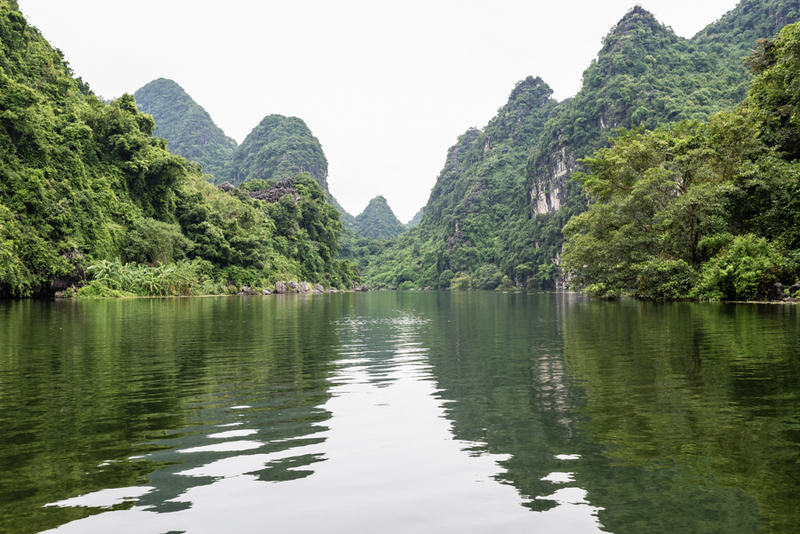 Legend has it that the groundwater depth is over 10m, connecting to the Hoa Lu ancient capital. Once upon a time the forefathers had come here to drink wine with the king. But during archaeological research, scientists discovered many pots, jars, and utensils for making wine. This cave is called Nau Ruou Cave. The length of the cave is 70m, this is the military warehouse and weaponry workshop during French and Americans war. 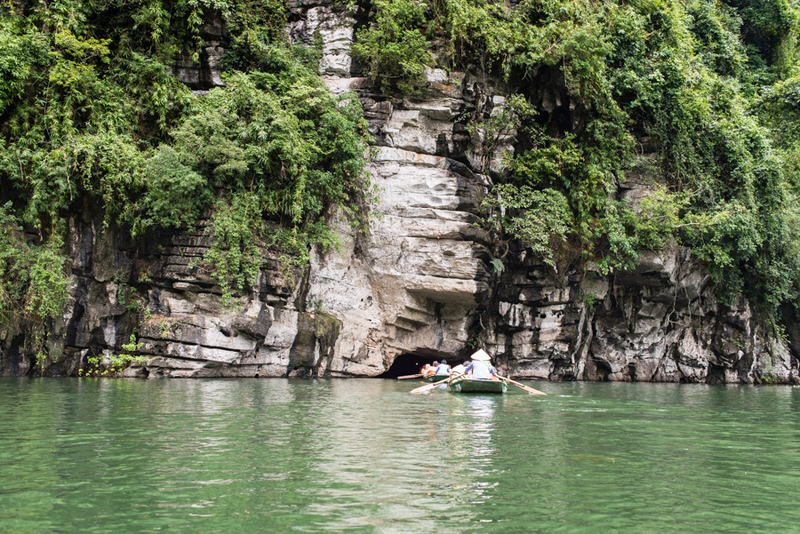 Nowadays Trang An eco-tourism complex is the most tourist attractive in Ninh Binh province. Here we would like to recommend you do Halong Bay cruise Ninh Binh for 2 days or 3 days. That could be the best to see Halong on land and Ha Long Bay. How to get to Trang An area?